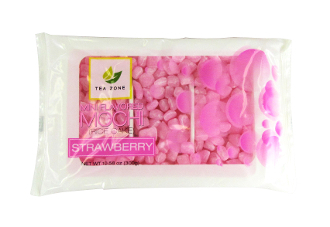 Strawberry mochi is a delicious gluten free Asian dessert guaranteed to satisfy your sweet cravings. With a soft and chewy texture, our Mini Flavored Mochi (aka Rice Cake) is one of our most popular topping. Eat them by themselves or enjoy them as a topping with your frozen yogurt!